The Bradley County bill of sale should be returned, after the sale of any type of automobile or vessel, to the Driver Services Center in order to register. After the bill of sale has been completed by both buyer and seller, the document is signed, and the parties make the trade will the transaction become final. 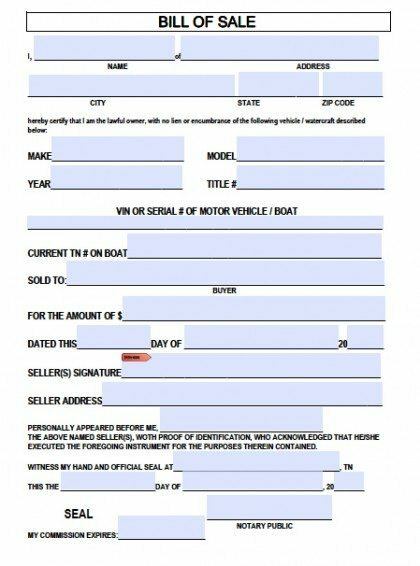 Odometer Disclosure Statement – If the vehicle is under ten (10) years of age and below 16,000 pounds (lb.) this form is required.